VERTIKAL improves acoustics in rooms with windows or other hard surfaces. 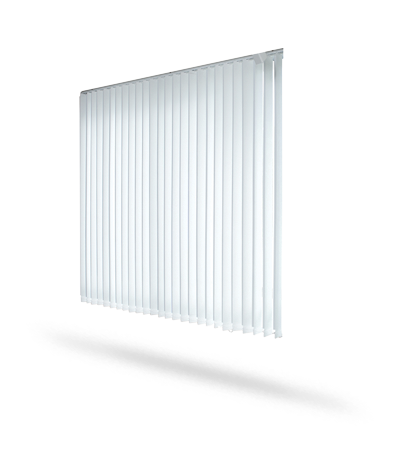 VERTIKAL is produced in accordance with customer specifications and is customized both for rail length and height of the blinds. The sound absorbing blinds are made from our unique core material EcoSUND®. Standard lamella width is 127 mm and maximum lamella height and rail lenght is 4000 mm. VERTIKAL comes with at least one side of Kosima or Kosima Colour. The fabric is selected for its ability to allow the sound to pass through to the acoustic panel of EcoSUND® to achieve maximum sound absorption. The back can come with the smooth surface of the sound absorbent core material EcoSUND®.